Parking, Toll and Waiting charges will be charge extra as per applicable. The best day of your life deserves the best ride. You've picked the date, purchased the dress and located the perfect venue. Now it's time to find the perfect wedding limo for your big day. Simplify your wedding transportation by planning with PickmeLimo.com. 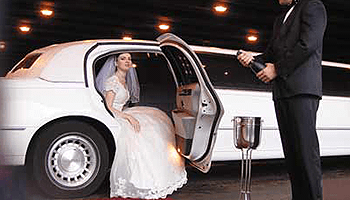 From honeymoon classic limos for wedding party transfers, PickmeLimo.com will get you to the aisle on time and in style. A professional driver will arrive at your pick-up location. Enjoy the luxurious amenities included with your airport car service, including complimentary amenities like newspapers and bottled water. The smooth ride and plush interior of a brand new Lincoln Town Car L or luxurious add a calming effect before a long journey. And you can rest assured that our chauffeurs are safe, knowledgeable and professional. Finding a great prom limo could be the easiest win-win ever! Combining style and fun for the kids with safety and peace of mind for the parents, PickmeLimo.com makes finding the perfect prom limo rental a great experience for everyone. Search PickmeLimo.com to find fab and affordable limos for prom and ensure you get everyone to the dance - and home - safely. 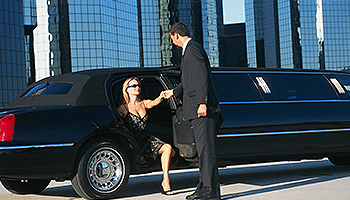 Don’t forget - the earlier you plan your prom limo service, the better the vehicle selection - and the savings.